There is no doubt that December can be an overwhelmingly busy month –with the hustle and bustle of the holiday’s, family gatherings and more, chances are you let your Marketing and Advertising plan fall to the wayside. In this week’s post, it is our plan to help you with your 2013 Marketing Resolution. Whether you want to simplify, revamp or retain your current customer base, we’ve compiled the best and most realistic marketing tactics you can implement this year. Here at DOW Electronics, we have several social media and online accounts, which can be tough to manage, especially if you cannot or do not want to sit in front of a computer all day. It’s been around for a while, but HootSuite is an easy, and free, fix to this problem. HootSuite allows you to set up one program and add all your social media feeds, so you can post, respond to messages and answer customer questions all from the same site, freeing up substantial time. You can also schedule messages in advance, so you can set your posts the night before, for after hours or even on the weekends, allowing you to spend less time worrying about finding time to post on Facebook, Twitter, YouTube and more. It’s been said before, but it has never been more important. Everyone, including your client base, is constantly bombarded with information, especially now in the digital age. If the content you are putting in the market is not relevant to your audience, you will be passed over without a second look. This not only means giving your clients the information they need, like training videos or tutorials, but also updating old or obsolete job aids and training items to be current. Check your website to make sure everything is up-to-date, and do the same for any social media or business profiles. Old material looks unprofessional and like you’ve stopped caring, so updating your materials will not only be a benefit to your customers, but will also show them you are the professional they can turn to. Almost everyone has a smart phone or tablet these days, so if you haven’t thought about supporting mobile access to your website, you should be. This is the perfect opportunity to reach new customers in your area as people are foregoing traditional ways of communications (land line phones and dial-up internet), and switching to a smart phone or wireless device for everything. Consider new families that move to your area – how will they find you if they have yet to set up internet or phone lines to call around? Of course, they will turn to the instant connection on their device, and if you aren’t there for them to review, again, you will be passed over, and won’t even know it. One site that will help your mobile marketing and online profiles is GetListed.org. Getlisted.org was launched in 2009, and allows small business owners to regulate their online presence. This easy to use, and free, online tool lets you claim your business listings on Google, Yahoo, Yelp!, FourSquare and more, thus increasing your search engine optimization. You can also update business information and photos, creating a complete profile, which is more likely to be looked at. So, now when those new families are moving in and searching for a cable or internet provider on their smart phone or wireless device, your business information is included, no matter what search engine or social media site they are using. One of the best ways to constantly reach your current or potential client base is email, but when was the last time you updated and cleaned up your email list? Take the time to clear out the outdated information so you are only putting resources towards those who you know want your information. Also, create an opt-in form on your website to draw in any potential clients, and maintain contact with past or current clients. Additionally, use email for more than just promotional and sales emails – company updates, press releases and community news will not only give your business personality, but will also show you are looking at the bigger picture within your organization. Now that you have some ideas for your 2013 Marketing Resolution, it’s time to put them in place! Start digging around and see what you can start changing now, and schedule the rest to be completed within the next couple of months, that way you are ahead of the curve and updated before 2014 rolls around! Which of these tips will be the easiest for your business to implement? The hardest? Let us know what you need help with, or your feedback – we’d love to hear it! President and CEO of DOW Electronics, Chip Yodzis, is our guest blogger this week, reviewing the high-notes of 2012 for DOW Electronics. The year 2012 saw many changes in both our industry and in DOW Electronics’ structure and brand. The year kicked off with the Consumer Electronics Show in Las Vegas in early January and the introduction of DISH’s Hopper. The Hopper is DISH’s whole-home DVR allowing users to connect up to 4 HDTVs from a single Hopper and 3 Joeys with full DVR functionality on e very TV. The Hopper also incorporates radical new technologies such as: PrimeTime Anytime giving instant access to 8 days of recorded primetime content from the four major networks; AutoHop technology allowing users to choose to automatically skip commercials on PrimeTimeAnytime recordings; a 2 TB hard drive – the largest in the pay-TV industry; and other fantastic consumer-friendly features. In May, DOW Electronics and our retailers attended DISH’s annual Team Summit held in Orlando, FL in the largest attendance numbers ever. The focus of this year’s Team Summit was ensuring that retailers were prepared for the exciting future, as DISH was authorized by the FCC to use the 40 MHz of wireless spectrum that they purchased for $3.5 billion. The opportunity to use this wireless spectrum gives DISH the opening to enter the exciting new business of wireless communications using mobile handheld devices as well as wireless communications in homes and businesses. Both Charlie Ergen, DISH’s Chairman, and Joe Clayton, DISH’s CEO, echoed the importance of retailers being prepared by having professional showrooms and sales personnel capable of demonstrating the newest technologies in order to take advantage of the opportunities available both now and in the future. DOW Electronics continued its push into the consumer electronics and mobile audio/video markets with the acquisition of well-known product lines like LG, URC, Logitec, Rosen, Scosche, Farenheit, EchoMaster, CPS Warranties, and more. In addition, DOW Electronics put plans into motion to increase its outside sales force presence by a total of nine new field sales representatives. As part of this increased push into consumer electronics, mobile audio/video, security products, and VoIP business phone systems, a new logo was unveiled at our annual Sales and Management Meeting that incorporates elements of our 50+ year old logo along with new graphics to reflect the bright future we see in the coming years. October also saw the launch of the newest generation of HughesNet’s satellite broadband offering, dubbed Gen4 that allowed consumers fast download speeds that rival, and often exceed, other high speed broadband offerings. DISH’s high speed satellite broadband offerings were renamed dishNET and provided high speed broadband via HughesNet or Exede throughout the southeast US and allowed monthly discounts by bundling DISH’s video offerings with the new dishNET high speed broadband offerings. These offerings opened up new sales opportunities for our retailers and allowed them to solidify their position as the local expert in their markets. In the New Year, I encourage our retailers to continue to utilize all available opportunities and focus on capitalizing on the prospects that are available to them in their markets, with their local showrooms and abilities to market and connect to consumers on a community level. The key item for our retailers in the coming year is to ensure they continue to prove themselves as the local experts in satellite video, satellite broadband, and all consumer electronic products in their hometowns and surrounding areas. All of us at DOW Electronics wish you and your families a safe, prosperous, and healthy New Year. Thank you for your business in 2012 and we look forward to serving your needs in 2013. During the month of December, DOW Electronics’ featured vendor is ONKYO, USA, and we are running specials all month long on a variety of ONKYO products. In addition to the special offers, we wanted to give you an inside look at ONKYO, their best-selling products and why we, at DOW Electronics, love ONKYO. Founded in 1946 as a division of ONKYO Corporation, ONKYO, USA, has been a leader for over 50 years in the audio/video components and home theatre systems industry. At the beginning, the company concentrated on producing the best in audio and video components; however, ONKYO has expanded in the last decade to come to the forefront in the home theatre and digital revolutions, which can be seen in ONKYO’s over 20 production plant, development center and sales subsidiary locations. The company’s philosophy is to deliver products that are well designed, with a focus on the basics, leaving out the frills and using the highest-quality parts possible in every ONKYO product. The multi-zoned function allows your receiver to play in two separate locations at the same time. For example, you could be watching the latest Blu-Ray in your multi-media room, while your spouse listens to an iPod in the kitchen, all at the exact same time! These ONKYO product specials are a limited time offer, and will only be available through the end of December. Make sure you inquire about them while you still have a chance because time is running out! At DOW Electronics, we strive to provide our retailers with convenient and straightforward methods to organize and handle day-to-day business practices. A necessary part of distribution, or any product based business, is the return of warranted product. We asked our Return Authorization Specialists what the most common complaints and questions were, and below is their response, with tips and answers to help you out with the RA process. Retailer: Where can I find the DOW Electronics’ return authorization guide lines? Answer: Once you have logged into the DOW Electronics website, click on the tab ‘RA Requests.’ When the drop-down menu appears, chose the ‘RA Policy & Procedures’ option, and from here, you can click the PDF document that includes our most current RA guidelines. Retailer: The RA process is too complicated. Answer: There are only five (5) options for RA’s – Defective Dish Receiver, Defective Dish Accessories, Defective all other product other than Dish, Return to Stocks and Broadband (i.e. ; Exede, dishNET and Hughes Net). The process to request an RA takes about 1 to 1 ½ minutes to submit. It simply requires the part number, the DOW Electronics Invoice, an explanation of what is wrong or why you are requesting a ‘Return to Stock’, if you would like a credit or replacement, and how you would like to return the defective product. We try to process all RA requests as quickly as possible so there is no inconvenience to the retailer. Retailer: Why do I have to provide a DOW Electronics Invoice number? Answer: In order to process your request, we have to research all requests, which includes verifying proof of purchase. By providing the DOW Electronics invoice number, we are able to process your claim in a timely manner because you have already given us the majority of the information we need to complete the process. Retailer: How do I find my DOW Electronics Invoice if I do not have a copy? Answer: We’ve made this portion of the RA process easy for the retailer. All you have to do is select the ‘Shipping/Invoicing’ option under the ‘Shipping’ tab on the DOW Electronics website. You can choose to download data in a CSV/EXCEL Format and to include all data, or just a specific date range. Once you choose your options, just submit and we provide you with the information right on your screen. The easiest way to find the data you are looking for is to press the Control button + F button (the find function in EXCEL) and EXCEL will take you to the part or specific serial number. Also included in this view is the DOW Electronics invoice number, DOW Electronics part number, and if applicable, the SN number of the unit purchased. Another valuable column identifies the person who ordered the item. DOW Electronics offers free pickup on defective replacements with a qualifying order by our own trusted fleet of vehicles and drivers. Most RA’s are processed within 1 business day. If you are confused or need assistance, our experienced staff can walk you through the process in 5 minutes! For retailers on the go, you can e-mail Radepartment@dowelectronics.com from your tablet or smart phone with any questions. So far, 2012 has seen lots of changes in technology, from tablets and iPads to Application Stores and thinner, sleeker models of phones, TVs and more. The 12 volt industry, or Car and Marine Audio and Video, is no different – so, we asked resident 12 Volt Specialist, Jeremy Doran, what the top trends in the industry are today. Jeremy has 17+ years of professional installation experience, is MECP certified and is a graduate of Mobile Dynamics, which has enabled him to work with some of the most creative and accomplished installers in the business. One major trend is the integration of iPads and smartphones to your vehicle for music, internet radio, movies, navigation and whatever else you have your device set up for. These can be installed into a car using a custom kit within hours, and – PRESTO – the world at your fingertips. Getting directions, finding a restaurant or locating the nearest gas station has never been easier. Check out the video below of DOW Electronics retailer Soundwaves of Tampa and their installation of the iPad Mini, just hours after release. Doran noted that add on Bluetooth systems are in high demand because many states are making cell phone usage illegal while driving. In relation, radios with built in Bluetooth capabilities are popular for hands free phone usage and music streaming. In car Wi-Fi hot spots for constant internet connection are also rising in popularity. In addition to media usage, smartphones are being used as remote controls for monitoring of vehicles, keyless entry, remote start, security and GPS tracking, but these are not the only trends currently popping up. Also popular right now are devices that unlock manufacturer settings so that navigation and video operate while driving, LED daytime running lights and aftermarket HID lights. 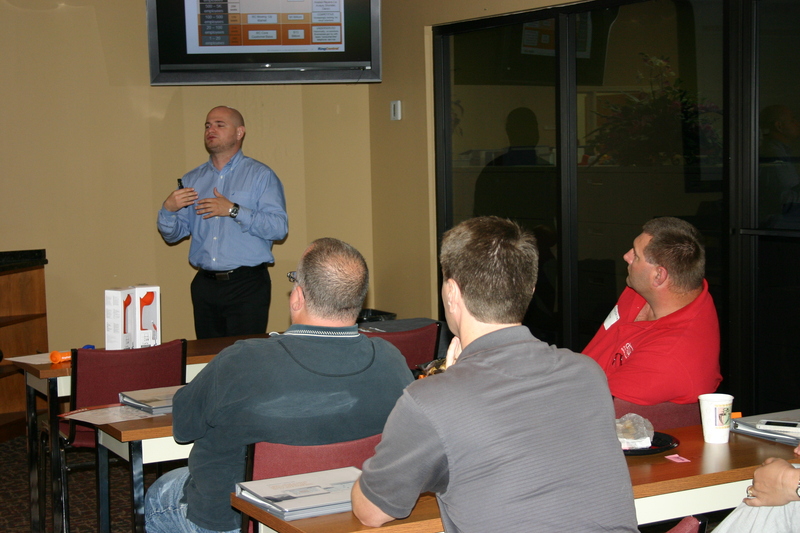 On November 1, DOW Electronics hosted the RingCentral 2012 Fall Road Show at our headquarters in Tampa, FL. This road show, which also made appearances at DOW Electronics’ branches in Nashville, Orlando, Atlanta and Charlotte, allowed retailers to rejuvenate and refresh their RingCentral knowledge and training. The Road Show covered such topics as best practices for selling RingCentral, demonstrations of new phone systems and products, a review of the new RingCentral platform, reviews of the partner portals and more. Many retailers noted the benefits of the session because of the way RingCentral geared the presentation to real business experiences. “The presentation was good, because it had more focus on how I can get started selling this to my existing customers, and to new customers in my marketing,” said Jay from Intechgrate Systems. The intimate class size, combined with RingCentral’s trainer Shane Rochester, gave our retailers the opportunity to see a feature rich phone system that allows a small business to improve their operating processes to not only reduce the cost of the of their phone systems, but to make other aspects more profitable. Following the training session, RingCentral and the attendees enjoyed a more laid back networking session at The Tampa Bay Brew Company, which DOW Electronics Tampa Branch Manager Michael Hurwitz noted was very successful. The valuable inside information and training, along with our retailer participation made this show a huge success! 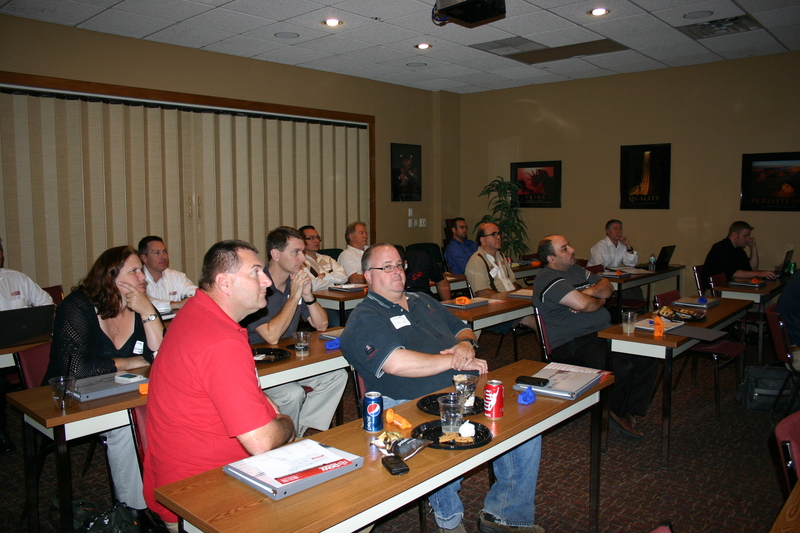 Thank you to RingCentral for supporting our retailers and providing an excellent, hands-on learning experience. And, for all you retailers out there, keep an eye out for more training sessions like the RingCentral roadshow – you can’t afford to miss out. Hey everyone! It’s Emily again, and I know what a painful process it can be to find a great event to work your selling magic, but I’ve done the first step for you! Below, there is a link that will connect you to tons of events surrounding each and every one of our retailers. While these events are not co-op pre-approved, I have researched all of them to ensure they have maximum selling potential for you. Also, I have included a few tips to help you while your out and about in your community. 1. Capitalize: This is the time of year when everyone gets back together after summer break, so there tends to be an influx of events, especially through your local schools and chamber of commerce. Take advantage! Not only are these events usually less expensive, it’s a great way for you to become a fixture and face in the community. 2. Timing is Everything: Remember what time of year we’re coming upon: Fall! This means back to school, football and upcoming holidays. Use these as selling points when talking to your customers – whether it’s a going away present for the new college student, for the sports fanatic or the perfect Christmas present, you should be able to convince everyone your products are a great buy. 3. Be Vocal: When you are participating in an event, let EVERYONE know! Put a poster up in your store, place an ad in the newspaper, or, even something as small as calling the radio station and plugging the event on the way will do the trick. This will not only drive more people to the event, but also create more traffic to your booth, equaling more hot leads and potential sales. Plus, the event management staff will be grateful for helping make their event a success. Like I said, these events are not co-op pre-approved, but they are great opportunities to get your name out and start selling. Interested in participating? Call the number listed, get a copy of the contract, and submit through our website or email to adv@dowelectronics with your completed pre-approval form. It’s that easy to get started on selling to your entire community. Without further ado, here is my list of events. Let us know in the comments below if your business will make an appearance at any of these events! For a lot of our retailers, finding the right event can mean a big hassle. Hi! I’m Emily, and I work in DOW Electronics’ Marketing Department. I know what kind of trouble it can be to find the right event for you, but, don’t sweat – I’m here to help you find some great local events for you to show your pretty faces and sell DISH. Below are a few tips that will help you break through all the noise of event planning and ensure your success. Check your local Chamber of Commerce, newspapers, and radio stations for events in your area. Since these places are already tapped into the local scene, many times they will have an events calendar or listings of events. These outlets will also most likely do their own advertising for the event (so you don’t have to) and generally have regular attendance, so you know there will be a higher chance for potential sales. Also, downtown areas and local farmer’s and flea markets are a good place to start for the same reason – they will be advertised in their own right and they maintain consistent traffic from locals. Most events will require you to sign up and/or register, so give yourself at least 30 days to complete paperwork and prepare. This will ensure you have completed all items prior to any deadlines and the possible opportunity to pick prime booth space. Also, keep in mind your ‘slow period’ with sales. If you can plan for events during this time, you will be able to keep your sales and income at a steady pace. Gather a few events you’re interested in and compare them so you can see what kind of traffic and crowd will be passing by your booth. Will there be qualified buyers? Is it industry or product appropriate? For example, it would be far more reasonable to participate in a Home and Garden Expo as opposed to an Arts Festival. Since events can be expensive (think registration fees, electricity, booth set up, travel and employees to manage your space), this will guarantee you get the best bang for your buck. I could go on forever – but the three tips above will help you get started on your own. However, I’ve done some of the leg work for you, and below are some listings for events in our territory for the next 3 months!